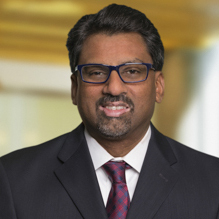 BDO Tampa’s Office Managing Partner, Thiru Govender, has over 20 years of public accounting experience and recently moved from Charlotte to Tampa. Govender primarily provides assurance services to privately held and securities and exchange commission (SEC)-reporting companies in the technology, manufacturing and distribution, and retail industries. Be on the lookout as Thiru Govender engages with business and community leaders of Tampa Bay!